Confirmed closure by telephone - 4/26/2013, reopened by Dr. Burkons Previously located at: 215 E Waterloo Rd #16, Akron, OH 44319 Previously named: Capital Care Network Akron New website here: http://northeastohioabortion.com/ Jennifer [Marie] Watson, MD, is listed on the clinic insurance form along with abortionist Dr. David Burkons, as part of the Patient Transfer Agreement between Akron General Medical Center and Northeast Ohio Women's Center abortion clinic. Watson also has an Ohio pharmacy license at the abortion clinic location. See documents below. Ohio pharmacy license for Jennifer M. Watson, MD, for practice location at Northeast Ohio Women's Center abortion clinic. Transfer agreement between Northeast Ohio Women's Center abortion clinic and Akron General Medical Center, for the hospital to treat abortion clinic patients if necessary. Clinic insurance lists abortionist David Burkons, MD, and hospital doctor Jennifer Watson, MD, who works at Akron General Medical Center. See pages 1, 5-6, and 10-11. 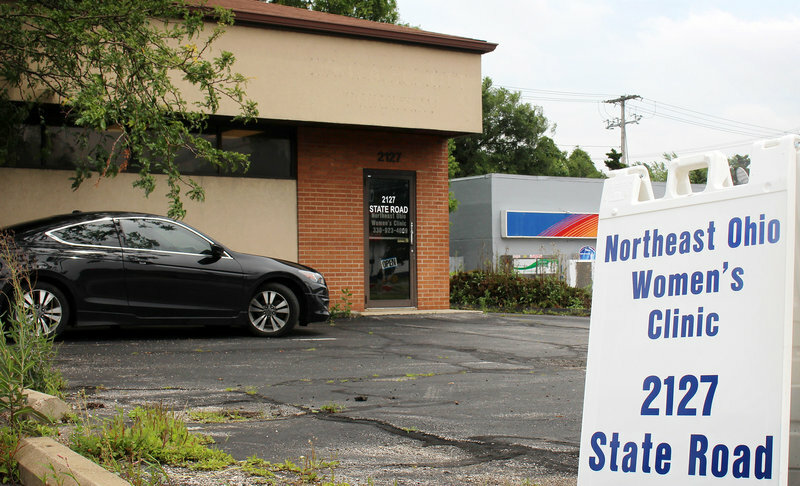 The Ohio Department of Health revokes Capital Care's license as an ambulatory surgical facility and orders them to close, after finding the clinic in severe violation of state code. Another failed inspection with many repeat offenses cited in the 24 page inspection report that revealed deteriorating conditions and practices. 754 abortions done in 12 months prior to this inspection, with deficiencies potentially affecting all patients. During a failed inspection, the Dept. of Health cited Northeast Ohio Women's Center with 21 pages of violations, including infection control issues, failure to provide discharge instructions to patients, a "Quality Assurance" program that was a sham, one worker who had tested positive for TB, and more. The OH Dept of Health did a clinic inspection on Feb 14, 2013 and found 34 pages of violations, including: hiring untrained staff, using patients' blood for Rh lab control, failing to screen employees for tuberculosis, providing surgical services without proper licenses, failing to follow sanitary procedures, maintaining incomplete patient records. The Ohio Dept of Health denied the clinic's license for failing to comply with state code. 5 RU486 abortion complications reported in Ohio on these forms. Letter from Right to Life of Northeast Ohio to the Ohio Department of Health calling for the closure of the Northeast Ohio Women's Center based on repeated health and safety violations and more. Survey Packet - [YXLN11 1] Non Confidential SYSTEM 08 04 2014 Inspection on February 3, 2014, related to application for licensure as an ambulatory surgical facility. Serious violations found. Abortion business' transfer agreement contract with Summa Akron City and St. Thomas Hospitals dated 1/7/2014.